When the USS Hornet was launched in World War Two, there were no personal computers, micro-chips or hard drives in existence. 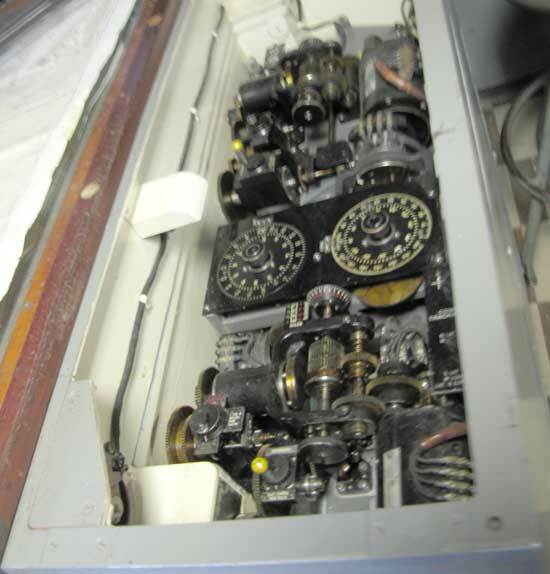 This is an electrically powered, mechanical computer that calculated the position of the ship when it was sailing out in the ocean. It is located in the conning tower. Aircraft carrier USS Hornet Museum. Most images used on this site were acquired through the public domain. Photos in the 'WWII Museums' category were taken by WorldWar2Headquarters staff photographers unless ortherwise noted.